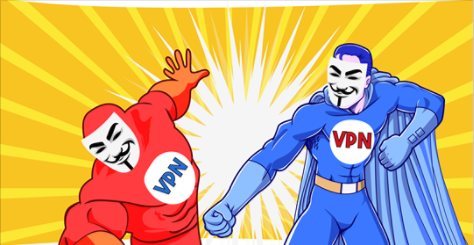 VyprVPN vs HideMyAss VPN vs VyprVPN vs HideMyAss VPN 2019 - 5 Tests, 1 Winner! VyprVPN starts off to a great start with its location in Switzerland, which means a strict no-log policy. While not the cheapest, VyprVPN does come with two flexible plans, the Pro and Premium to meet different users’ needs. HMA offers a 30-money-back guarantee to its competitively priced packages but places restrictions. While HMA only supports two simultaneous connections, VyprVPN supports five under its Premium plan. Other great VyprVPN security features include a NAT Firewall, Chameleon Technology and VyprDNS which make bypassing firewalls in China a breeze. If you are looking to unblock Netflix, HMA is the better choice. While VyprVPN lives up to its claim as the fastest VPN, HMA speeds are mediocre at best. Both support OpenVPN but a major caveat is that they do not accept bitcoin. As far as customer support goes, both VPNs boast friendly services provided through live chat. VyprVPN is a popular VPN service created by Switzerland-based Golden Frog. This VPN has worked hard to establish itself as a trusted provider and advocate of internet privacy. The provider has also been taking steps to improve its reliability, security, and quality of service based on customer requests. Torrents are now good! Vyprvpn has gone No Log I have loved Vypervpn forever. Their service is faster than most, they work in China (I have to travel there for work all the time), US Netflix and BBC work, I love their windows and iOS app. Now with their move to No Log it hits all the marks- mostly with the blog from their CEO explaining why. Good stuff. Love this service. Both HideMyAss and VyprVPN have large global server networks and an impressive list of features. Both provide strong encryption, though VyprVPN is more committed to security. However, HideMyAss offers better price plans. Best VPNs for Torrents Even though both VPNs allow P2P and torrenting, VyprVPN permits torrenting on all servers, while HideMyAss allows torrenting only on specific servers. However, unlike VyprVPN, HideMyAss offers optimized servers for torrenting. Even though both VPNs allow P2P and torrenting, VyprVPN permits torrenting on all servers, while HideMyAss allows torrenting only on specific servers. However, unlike VyprVPN, HideMyAss offers optimized servers for torrenting. Best VPNs for Windows Both VPNs offer very simple, attractive, and easy-to-use apps for Windows which include a kill switch, server switching, and multi-protocol options. However, VyprVPN also includes the Chameleon option as an additional feature. Both VPNs offer very simple, attractive, and easy-to-use apps for Windows which include a kill switch, server switching, and multi-protocol options. However, VyprVPN also includes the Chameleon option as an additional feature. Best VPNs for Android Users will find it very easy to use HideMyAss and VyprVPN’s client apps for Android, which both come with public wi-fi protection. VyprVPN offers a kill switch, but HideMyAss doesn’t. We also like VyprVPN’s option to select which apps to tunnel through the VPN connection. Users will find it very easy to use HideMyAss and VyprVPN’s client apps for Android, which both come with public wi-fi protection. VyprVPN offers a kill switch, but HideMyAss doesn’t. We also like VyprVPN’s option to select which apps to tunnel through the VPN connection. Best VPNs for Mac The Mac apps provided by HideMyAss and VyprVPN are among the easiest to use, and both include all the features you need for a secure connection, such as a kill switch and DNS leak protection. VyprVPN allows you to filter which apps you want to use with the VPN. The Mac apps provided by HideMyAss and VyprVPN are among the easiest to use, and both include all the features you need for a secure connection, such as a kill switch and DNS leak protection. VyprVPN allows you to filter which apps you want to use with the VPN. Best VPNs for iOS HideMyAss runs on iOS 5+, while VyprVPN can be downloaded on iOS 9+. Both clients are user-friendly and function smoothly in the background. VyprVPN’s client app for iOS is spiced with extra features, including iPad compatibility and wi-fi security. HideMyAss runs on iOS 5+, while VyprVPN can be downloaded on iOS 9+. Both clients are user-friendly and function smoothly in the background. VyprVPN’s client app for iOS is spiced with extra features, including iPad compatibility and wi-fi security. Best VPNs for USA HideMyAss has 192 servers in USA, whereas VyprVPN has only 8. In addition, HideMyAss is more able to bypass US geoblocks to access Netflix, Hulu, and HBO. VyprVPN still struggles with accessing these services. HideMyAss has 192 servers in USA, whereas VyprVPN has only 8. In addition, HideMyAss is more able to bypass US geoblocks to access Netflix, Hulu, and HBO. VyprVPN still struggles with accessing these services. This VPN is one of just a few that are truly serious about online security and privacy. This VPN is also the go-to VPN for privacy enthusiasts all over the world who are looking to bypass geo-restrictions to enable streaming. This is great value for money considering the competitive prices and large server network offered by this VPN. I have loved Vypervpn forever. Their service is faster than most, they work in China (I have to travel there for work all the time), US Netflix and BBC work, I love their windows and iOS app. Now with their move to No Log it hits all the marks- mostly with the blog from their CEO explaining why. Good stuff. Love this service.